The National Shrine of St. Elizabeth Ann Seton (339 South Seton Avenue, Emmitsburg, Md.) will host its annual pilgrimage in honor of those in the sea services on Oct. 7. 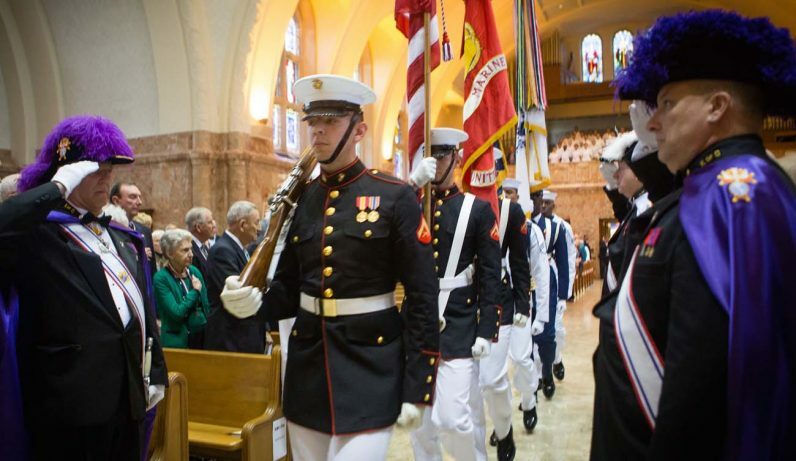 The event — which honors those serving in the U.S Navy, Marine Corps, Coast Guard, Merchant Marine and public health divisions — will include Mass at 3 p.m. in the shrine’s basilica. Father Francis P. Foley, command chaplain of the United States Naval Academy (USNA), will be the celebrant, and the USNA Catholic Choir will sing. St. Elizabeth Ann Seton, the first native-born U.S. saint, was designated as the patroness of the sea services in 1977. A complimentary dinner will follow the Mass. For more information and to RSVP, contact Rob Judge at 301-447-6037 or Rob.Judge@setonshrine.org.